Amid the ongoing chain-store shake-out and lingering consumer stinginess, retail development across the country has been subdued these past several years - to put it mildly. But as the frustratingly modest economic recovery progresses, more and more developers are managing to secure pre-lease commitments - and cheap (if not plentiful) construction financing - for small-cap retail developments. Granted, banks are still underwriting construction facilities in quite conservative fashion - no surprise given considerable financial distress remaining in the retail property sector. Nor are supply-demand fundamentals exactly screaming for additional product in most markets - as persisting double-digit vacancies in so many markets attest. Accordingly the opportunity-minded developers able to get projects out of the ground these days have for the most part scoured their marketplaces to uncover unmet needs for particular properties in key locations. To wit, many projects under way involve successful developers expanding within or adjacent to high-occupancy centers. For example in Wichita, which remains plagued by high retail vacancies, longtime local developer Wheeler Kelly & Hagny is building another 10,000-foot center near the now-full 21,000-footer it completed within its Village at Greenwich project along a promising growth corridor in the metro's northeast quadrant. Likewise regional entrepreneurs Tom and Jerry Burke continue supplementing their development site portfolio in a popular business corridor of Albany suburb Colonie, NY - while getting their latest restaurant structure out of the ground. The brothers just closed on their latest Wolf Road parcel ($500,000 for just under an acre) for development when they land their next user, and meanwhile are set to break ground on a 7,000-square-foot Texas Roadhouse to supplement the Chipotle Mexican Grill they completed in 2011. Several savvy specialists are converting obsolete urban spaces into markets, restaurants and other uses. For instance in downtown Columbus, developers Randy Walker and Eclipse Real Estate have partnered to convert the North Grant Avenue auto service shop they bought at the recession's trough (for $785,000) into a 12,500-square-foot Hills Market serving the under-grocered district. And in downtown Los Angeles' Arts District, development specialists Linear City and Creative Space are partnering to convert an 8,200-foot former glass-manufacturing warehouse into an Urban Radish community market. Indeed as at least a mini-wave of new development gets under way, smaller-format grocers and variously sized and shaped restaurant concepts appear to be the most receptive tenants. In most cases developers have a strong anchor in tow - or perhaps pre-lease commitments from multiple smaller merchants. Trader Joe's is one case in point. The popular bargain-rate gourmet foods merchant is anchoring local developer Jonathon Hetzel's 21,000-foot center under way just northeast of downtown Dallas. And local developers Venture Pass Partners likewise just nabbed Trader Joe's for a 14,000-foot store in the northern Twin Cities suburb of Shoreview. 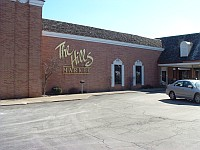 Another telling example is under way in Highland Heights, Ky., just across the Ohio River from Cincinnati, where strong regional player Thompson Thrift Development just acquired 1.6 acres for an approximately 13,000-square-foot center nearly half pre-leased to City Barbecue, Firehouse Subs, Pizza Hut and Ft. Thomas Jewelers. Proven players in limited cases are launching projects purely on spec - such as locally based regional developer Peterson Properties, which has its $1.1 million, 11,584-square-foot Shops at McMahon Marketplace under way on Albuquerque's high-demand West Side. Construction lenders are quite focused on a borrower's experience and financial strength these days - and tend to limit funding to 60 percent of a project's cost even with considerable pre-leasing, notes mortgage broker David Blum, a senior director with NorthMarq Capital. Quotes from local banks for small-balance retail construction facilities are typically in the vicinity of 350 basis points over Libor - and perhaps with a rate floor, he adds. Despite lenders' generally conservative underwriting, market data from CoStar Group suggest development of smallish (50,000 square feet and less) retail properties across the country has already started ramping up. Fourth quarter deliveries totaled nearly 750 projects - way above the sub-500 average for the first three quarters of 2012, although still a fraction of the pre-recession activity. And it can't hurt that developers realize they can sell high-quality stabilized assets at quite aggressive cap rates. Retail-property investment sales nationwide jumped 20 percent last year to nearly $53 billion, reports Real Capital Analytics. Ultra-low debt costs notwithstanding, however, developers can probably expect to see hard costs trend upward as both residential and non-residential development continues to pick up. At a Wichita business luncheon in early February, developer Johnny Stevens lamented that costs of construction materials and labor appear to be rising at anywhere from a half-percent to 1 percent - on a monthly basis. In big neighborhood/community center REIT Kimco Realty's recent quarterly conference call, CEO David Henry cited the paucity of development in recent years in explaining the steady improvement of Kimco's financial performance. The portfolio's occupancy has clawed its way back to nearly 94 percent - the highest level since mid-2008. So considering the expected growth in shopping center deliveries this year, one has to wonder what Henry will have to say after Kimco reveals its next fourth-quarter results.